A faulty electrical service panel in a home or buisness places it in danger. The service panel is where the main power line from outside a home enters and is routed throughout the electrical system. 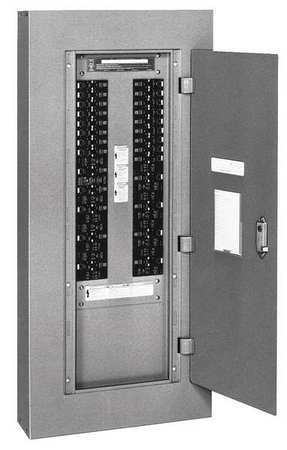 The panel also disconnects circuits if excess electricity flows through them by tripping circuit breakers. If the panel starts to malfunction to the point that it can no longer function correctly, not only will it risk shutting down all electricity to the home or business, it will put it at risk of electrical fires. You may be surprised by how many new appliances and gadgets your house and/or office building have acquired within the past 20 to 30 years. With the never-ending technology in today’s society, your home and business need to keep up with the modern-day electronic devices in order to power them sufficiently and safely. This is why many older homes and building properties require electrical panel upgrades for adding/updating modern-day appliances to prevent overloading of their electrical systems. If you have an older service panel, you need to pay attention to signs that it may need replacement—before it fully fails. If you detect any of the warning signs below, call us right away to inspect the panel and see if it needs repairs or a complete replacement. Constantly tripping circuit breakers: When a panel begins to wear, it will be more susceptible to power surges through the wires, and consequently will start to disconnect circuits more often. This can also happen because your home/office energy needs have surpassed the capacity of the service panel. Evidence of electrical fires in the panel: Wires that wear down inside an electrical panel can create fires-these often quickly burn themselves out, but they will leave behind signs that they’ve occurred. If you smell an acrid odor from the panel, or notice charring and discolored marks around the circuit breakers, you’ve probably had an electrical fire in the panel. Breakers will not remain reset: Resetting a tripped breaker should take care of a problem under normal circumstances-if you discover that a reset circuit breaker in the panel won’t stay reset, or it does not restore power, then you may have a faulty service panel. When you have Chapple Electric replace your service panel with a new model, your home or business will benefit from increased safety and convenience. Contact us for all your electrical needs—we’re here for you.